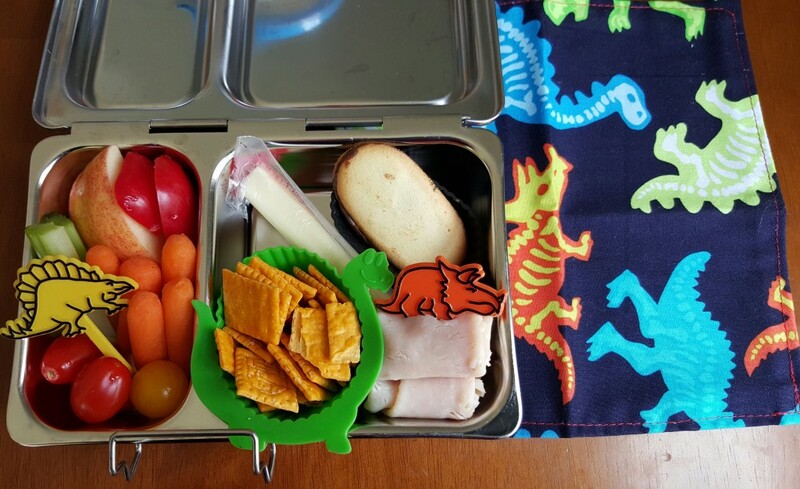 My kids had these dinosaur themed lunches last week. They were packed in our Planetbox Shuttles. The one above was my son’s He had half an apple, tomatoes, pieces of sweet pepper, cucumbers, carrots, and celery on the left side. 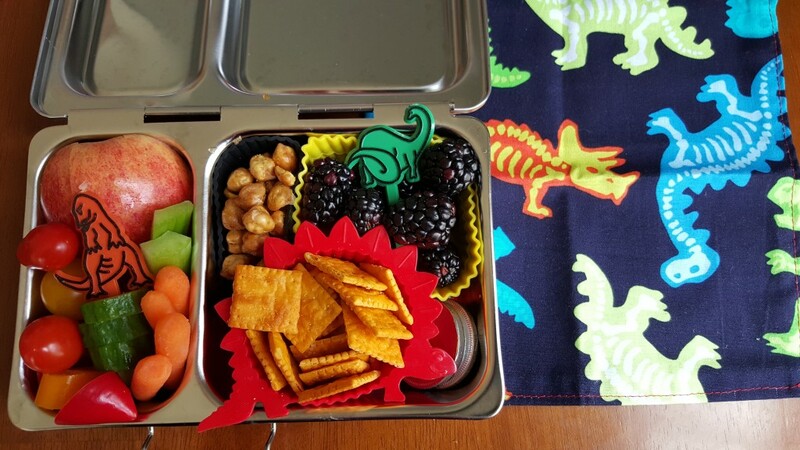 On the right side, he had roasted chickpeas, blackberries, crackers in a stegosaurus shaped silicone cup, and a couple of chocolate coins. 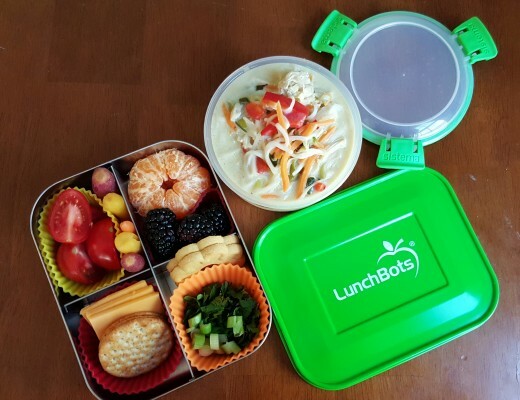 The lunch above was my daughter’s. 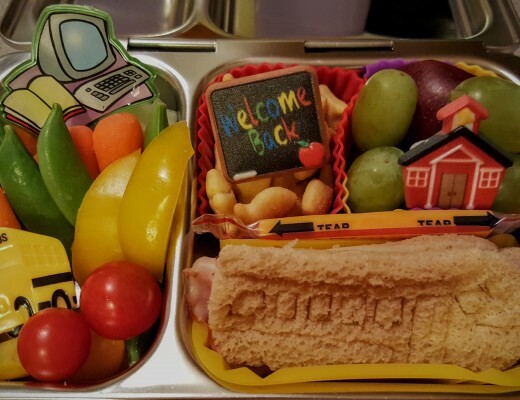 She had the same fruit, veggies, and crackers. 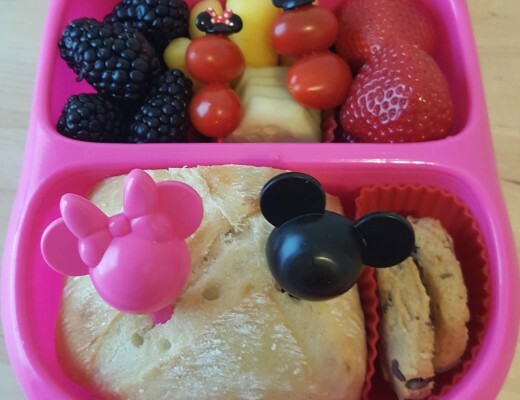 She also had a string cheese, turkey on a triceratops pick, and a cookie. These vintage picks are from the Mother Goose store on eBay. The bright dino napkins are from the Sew Chic Geek Boutique on Etsy.